No need to hire a landscaper to mow your lawn. You can get a lush and healthy lawn by following a few simple tips. When you mow your lawn, you’re doing more than just cutting grass. Each time you mow your lawn you’re setting the stage for your grass to grow lush and green — or to become a breeding ground for pests and weeds. 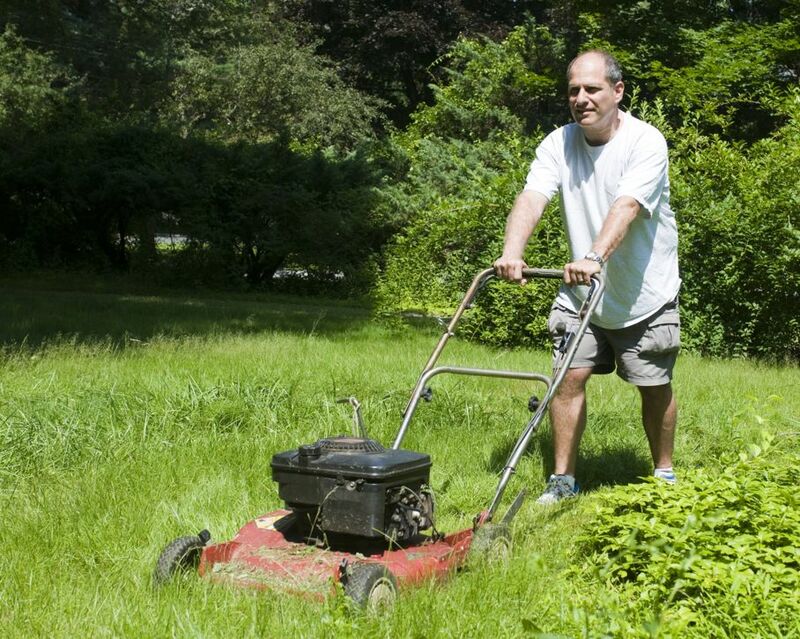 Make sure you’re mowing your lawn the right way with these six tips the pros know. 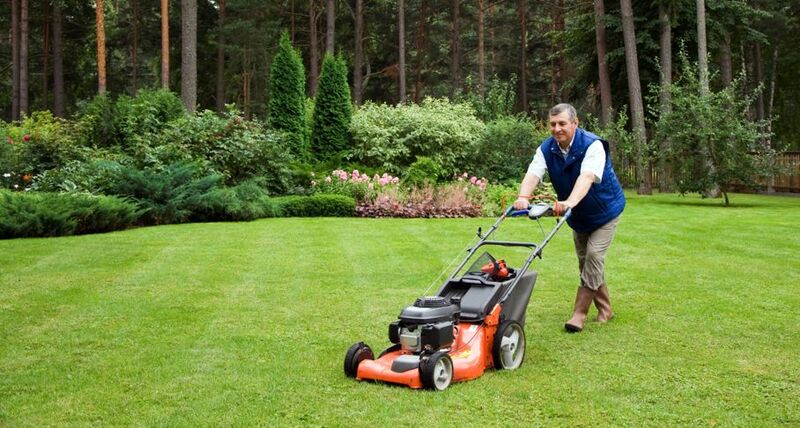 The natural tendency is to cut your lawn as short as possible so you don’t have to mow it as often. Landscapers refer to this as “scalping” the lawn. Here’s why that’s bad: When the blades of grass are cut too short, they dry out more quickly and their root systems are weakened. Short grass also allows sunlight to reach weed seedlings that are just waiting for the chance to take over your lawn. The rule of thumb is to cut only the top third of the grass blade, but there’s no need to pull out your ruler. 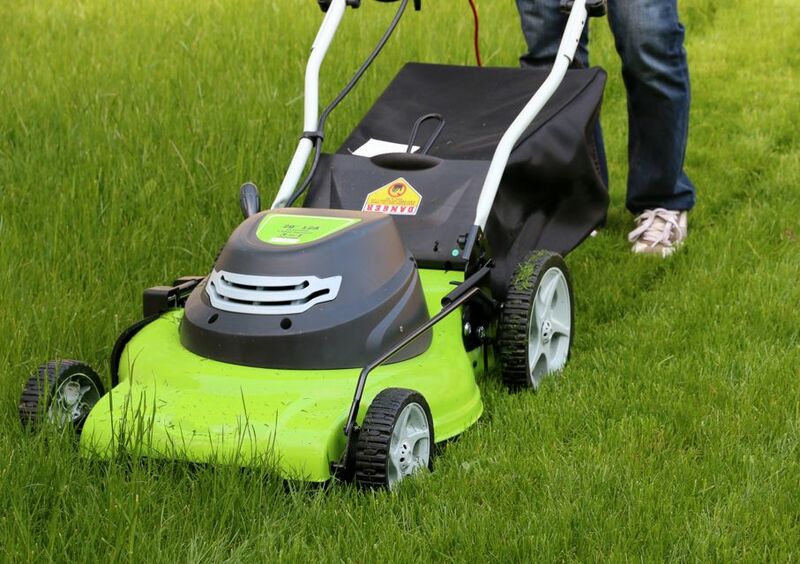 You can avoid scalping your lawn by adjusting your mower’s blade height to the highest setting. Making an effort to keep your lawn a little long will encourage strong, healthy roots, and discourage weed growth and loss of moisture. 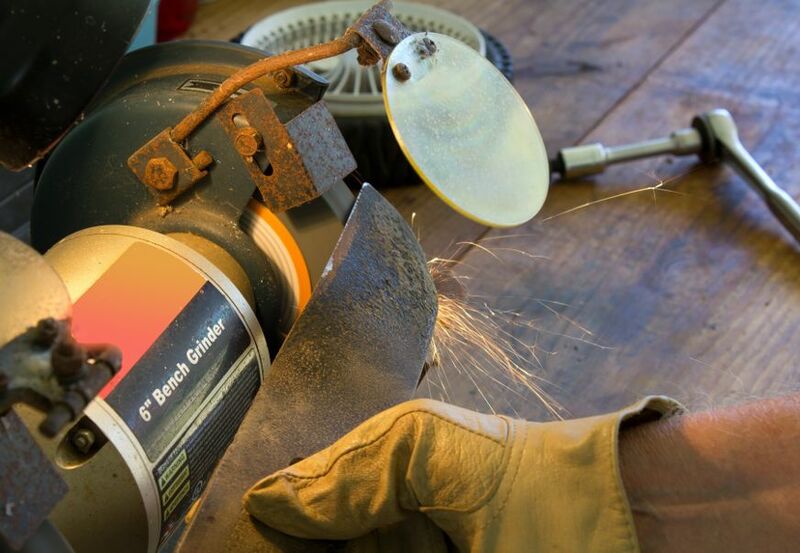 Make sure your mower’s blades are sharpened regularly. Sharp blades produce clean, even cuts that will help your lawn hold onto moisture. Dull mower blades may tear, bend, or rip grass right out of the soil, leaving your lawn susceptible to pests, diseases, and browning. Plan on sharpening your mower’s blades two to four times per mowing season. Your local hardware store should be able to do it. If not, they’ll probably know someone who does. Always mow your lawn when the grass and soil are dry to ensure the most even cut. Mowing wet grass can lead to the same rips and tears you’d get with a dull blade. And if your lawn is super soggy, the mower’s wheels may create ruts in the soil, which is where weeds love to take root. Plus, wet grass can clog up your mower and that’s never fun to clean out. The act of mowing creates tremendous stress on grass plants. To keep stress to a minimum, mow when there’s shade on the lawn. Shaded grass loses less water when it’s cut, and will recover from stress more quickly. If your lawn doesn’t get sufficient shade, then you can mow your lawn during the early-morning or late-afternoon hours when temperatures are usually cooler. Speaking of shade, if you have a mostly shady lawn, that’s another good reason to keep your grass long. Longer grass blades are better able to utilize limited sunlight for photosynthesis. 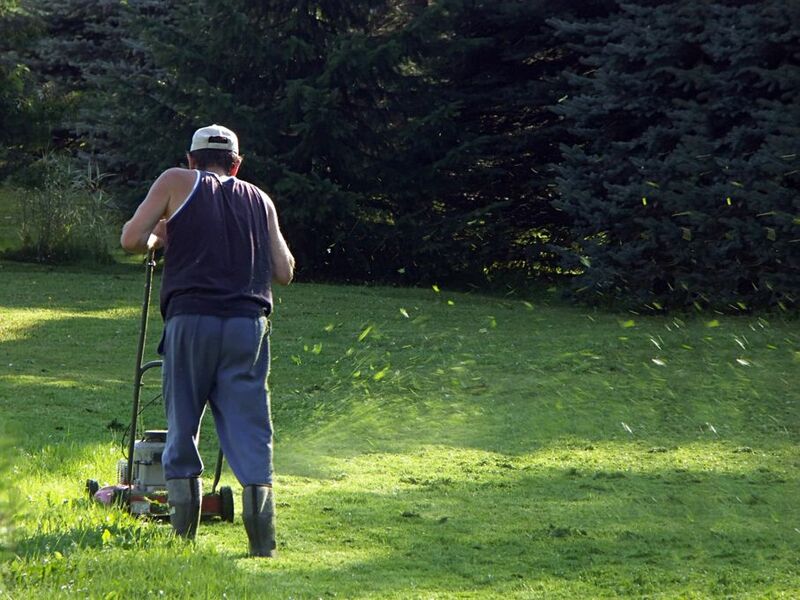 Humans are creatures of habit, but try to avoid mowing in the same direction each time you mow. Doing so will compact the soil and create ruts where weeds and pests thrive. Mixing up your mowing pattern will discourage weed growth and keep your lawn looking its best. Here’s some good news for you and your grass. It’s better for your lawn if you don’t rake up grass clippings after you mow. Why? Decomposing grass enriches your soil with nitrogen and other nutrients. It’s basically a natural fertilizer. “Grasscycling” is the fancy term for this practice. Call it what you want, but it all amounts to less time spent on yard work and a healthier lawn. 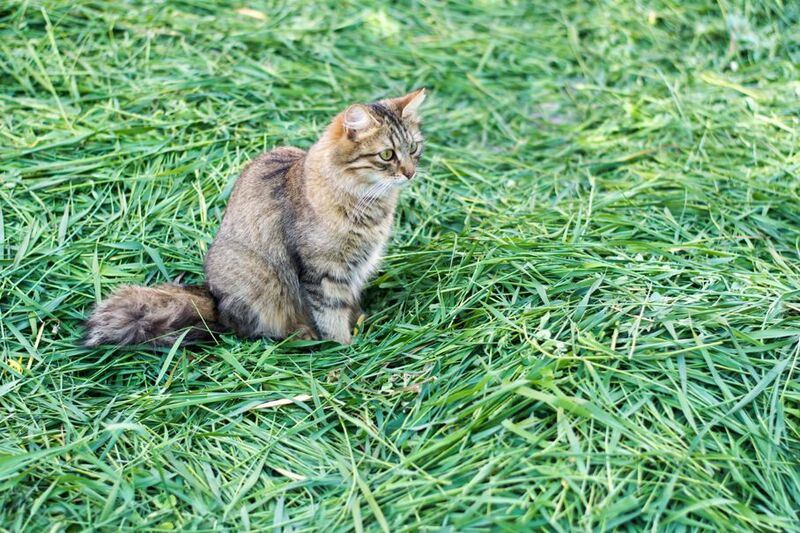 Use these six tips the next time you mow. You’ll be well on your way to creating a lawn that will make the neighbors green with envy.